Like many other recruitment services, the team at EmployAbility Galway knew they needed a better way to coordinate and build a process around employer interactions. This was necessary in order to increase placements and overall productivity. After being recommended OnePageCRM by a board member, Pauline O’Dwyer (Program coordinator) was keen to try out the system and work towards launching their 100 jobs Campaign. EmployAbility Galway is an offshoot of mainstream recruitment services. A supported employment service dedicated specifically for people with disabilities who want to find employment. Based around the concept of a job coach – one to one assistance is available right through from career planning, to looking for the job, to supporting the person after they have been placed in employment. With ongoing specialist support on hand, the added goal is to reduce the employer’s training and recruitment costs. 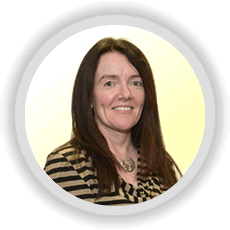 Pauline O’Dwyer, Program Coordinator at EmployAbility Galway was beginning to get frustrated at having no central follow up system, outside of their own diary and Excel spreadsheets. They worked from multiple Excel spreadsheets, but it just wasn’t working for them. “The recruitment and placement process seemed to take a long time to close out from start to finish, stuff was just disappearing and jobs were not being closed off”. In this line of work, things change quickly. Team members may have to re-jig their diaries on any given day meaning they may update their own diary but not on the central Excel spreadsheet. As a result, it often led to extra data admin or not all team members knowing the latest update on a potential employment opportunity. They also tried Google Drive as the information was more readily accessible in shared folders. Some of the team members were hesitant as they didn’t fully understand how Google Drive worked. They knew they needed to implement a better process sooner rather than later but just didn’t know what the solution was. As their roles involved a combination of being based in the office and in the field, (team members do not see each other every day) they needed to track follow up’s more efficiently and also stay in touch with one another on the status of jobs. It was only when a new board member joined and they showed him their current set up in Excel, he quickly recommended that they used a CRM system and suggested OnePageCRM. And they jumped at the chance of trying it out! 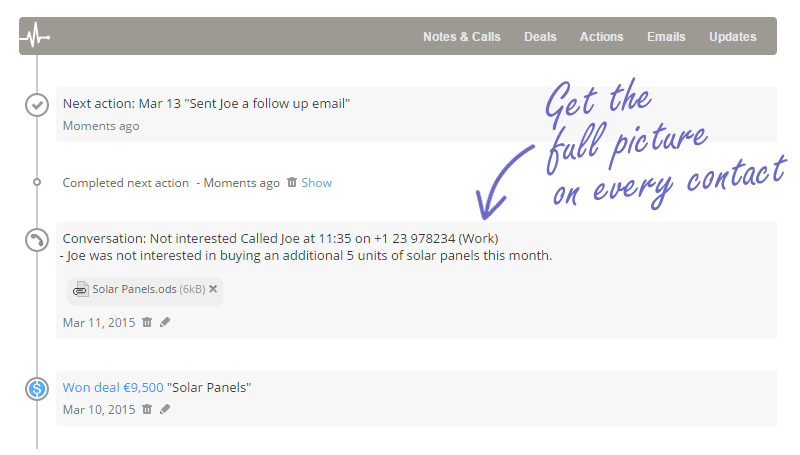 The team quickly adapted to OnePageCRM and within a few days were up and actively using the CRM. One of the key points for them was that it was really easy to use. Since using OnePageCRM Pauline commented that “Nothing gets lost, everything gets done and things get done much faster”. Even if you need to push your actions out to a date in the future, you can easily do that, meaning you don’t forget about them. Keeping all team members in the loop about potential jobs is critical. Once you add a note, you can easily notify your other team members from within the app and also assign them actions if you need them to follow up. The primary focus is on deals – their process involves adding a job as a deal to the CRM and referencing a note – that note is sent to all team members and they can quickly check if they have someone available for that job. Pauline compares their new process to physical manufacturing’s revolutionary “Just in time” process (which is Pauline’s background). In the past, you would have a load of paperwork sitting on your desk, like you would see in a warehouse, information was stacking up, whereas now (like “Just in time”) everything is moving with OnePageCRM. The mobile apps have been a game changer for the team at EmployAbility Galway. Once business cards would pile up on their desks but now they go directly into the mobile app. They can easily update their pipeline while on the road, between meetings meaning productivity is up overall. 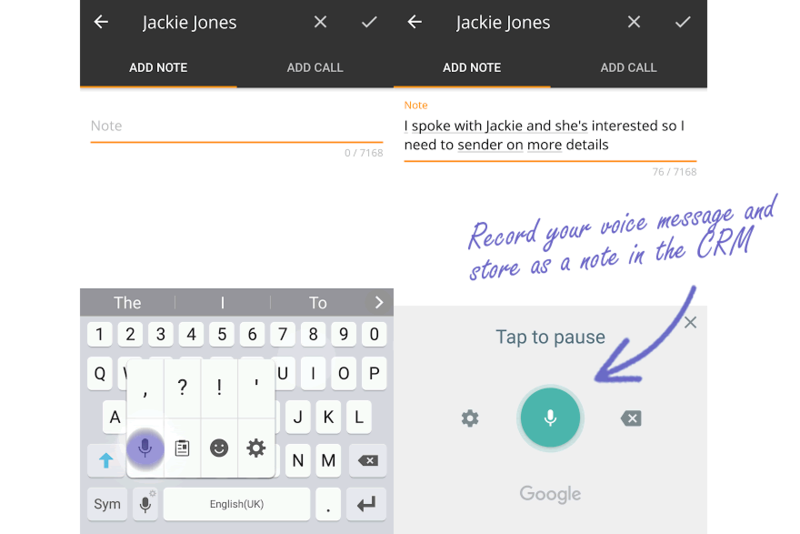 And an added bonus is the ability to update their notes using the keyboard microphone or Google Voice – saving the need for typing! Pauline accredits the smooth running and success of the #100Jobs Campaign to OnePageCRM. “We would not have been able to run that campaign without having OnePageCRM, it would have been all over the place. It helped us close out the jobs quickly”. As a result, EmployAbility Galway have seen an 87% increase in job placements over the past 2 years which is a huge achievement. EmployAbility Galway finally found a process which worked. By uploading CV’s to the deals section, they could easily download them and email them to the suitable employer. Everyone in and out of the office could immediately see what stage the deal was at so all team members were kept up to date and the potential candidates for roles were kept informed on the status of their application. Having access to an up to date system which is easy to use was central to EmployAbility Galway’s success. Pauline also commented that “if they hire a new staff member, they can easily check the CRM for existing employer relationships so there is no unsuspecting crossover of communication between the team and existing staff members customers”. This prevents duplication of work and ensures a high quality of customer service is delivered at all times. In the past, the information was in the previous employee’s head or in a filing cabinet – now it’s in OnePageCRM and it’s instant! I think we are going to try this. Thanks EmployAbilityGalway.ie for sharing.